المخبز الذي نحول فيه إلهاماتنا إلى لقيمات لا تقاوم تحمل في قلبها المذاق الإيطالي." 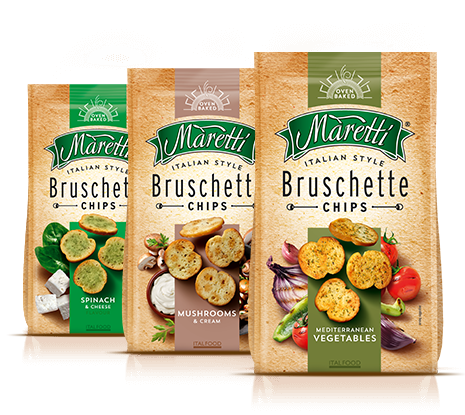 Maretti is the brand that translates the essence of traditional baked specialties into a range of bite sized snacks. 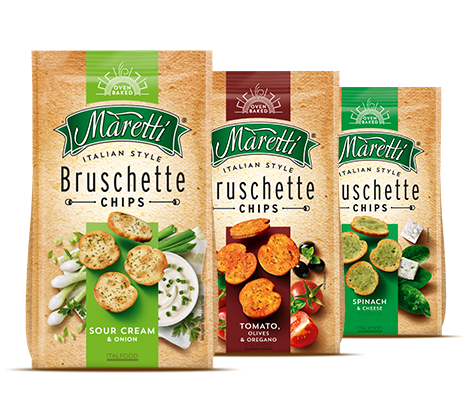 Inspired by a heritage of of craft and love of good ingredients, Maretti Bruschette bites celebrate the pleasure of good taste and good times shared.